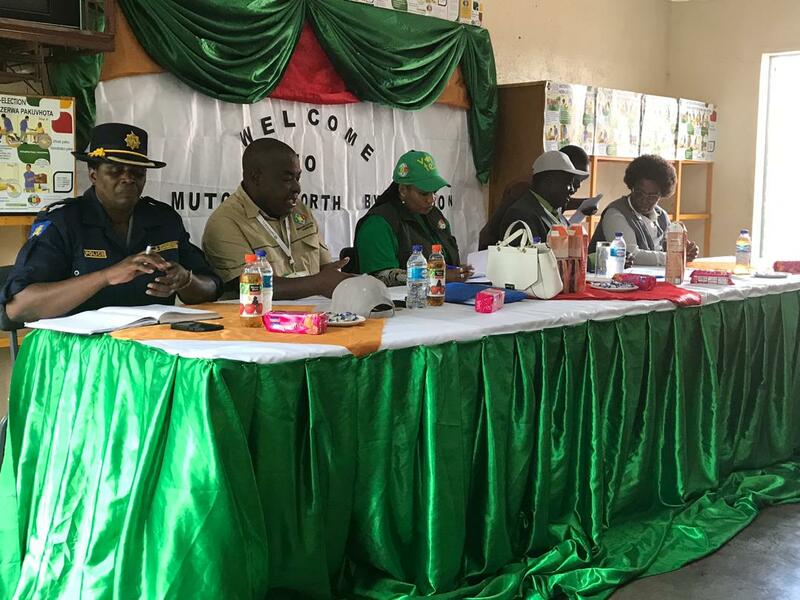 Mutoko North National Assembly Constituency by-election was held successfully on 24 November 2018. The seat fell vacant after Ms Mabel Chinomona was elected Senate President.The contestants for the Constituency with a voter population of 23 295 voters were Edson Mugoma of NCA, Bornface Mushore of the MDC Alliance and Rambidzai Nyabote of ZANU (PF). Rambidzai Nyabote of ZANU PF polled 11 141 votes while Boniface Mushore of MDC-Alliance had 1 329 votes. On third place was Edson Mugoma of NCA with 94 votes. 115 votes were rejected. The total number of votes cast was 12 564 votes. The percentage voter turnout was 52.9%. Polling stations opened at 0700hrs in the morning with people already queuing to cast their votes. The stations closed at 1900hrs in the evening while results were announced in the early hours of Sunday 25 November 2018. Meanwhile in the Chegutu RDC ward 16 by-election held on the same day, Obert Simunyu Mutandinda of ZANU(PF) who polled 326 votes emerged the winner beating Tichaona Norwel Muchenje of MDC Alliance who polled 89 votes. On third place was Patricia Mapfurira of NCA with 13 votes. The voter population of the ward is 765 voters. Voting was peaceful in both by-elections.